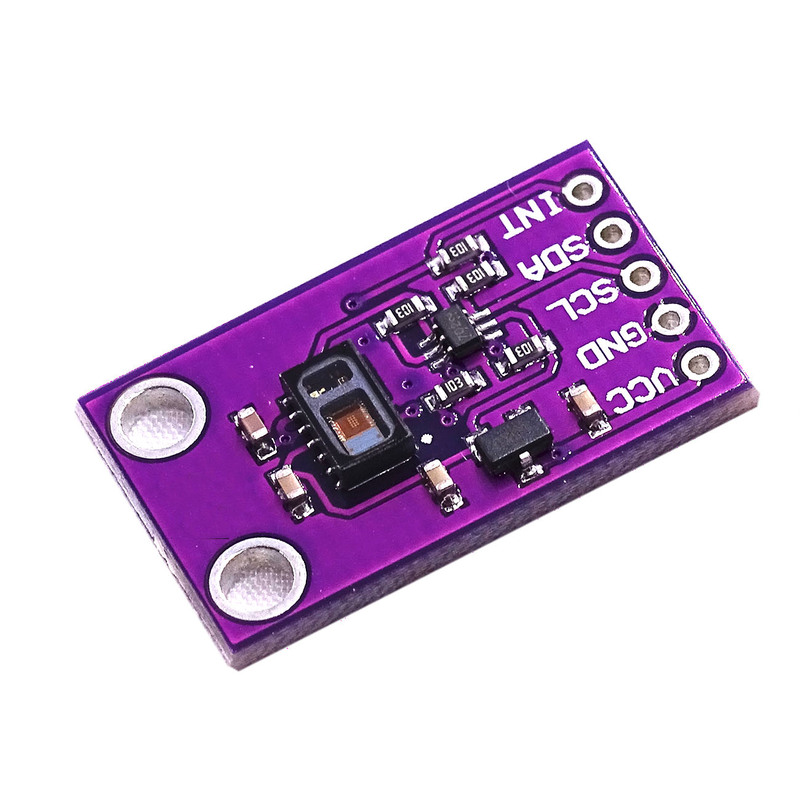 The MAX30105 Particle Sensor is a flexible, powerful sensor enabling sensing of distance, heart rate, particle detection and even the blinking of an eye. The MAX30105 has been equipped with three LEDs as well as a very sensitive photon detector. The idea is to pulse the different LEDs, then detect what shines back. Based on the reflected signature it’s possible to detect different types of particles or materials (such as oxygenated blood or smoke from a fire).